Nonetheless, Ebony Reigns is the biggest female Ghanaian musician sensation of 2017.Without a doubt, she has been able to use her n*dity to capture the attention she needs for people to listen to her songs. She, however, is one of the female musicians who possess a very powerful voice.—The more reason why people get more pissed as they believe she has everything to succeed as a musician without necessarily showing her skin to the world. 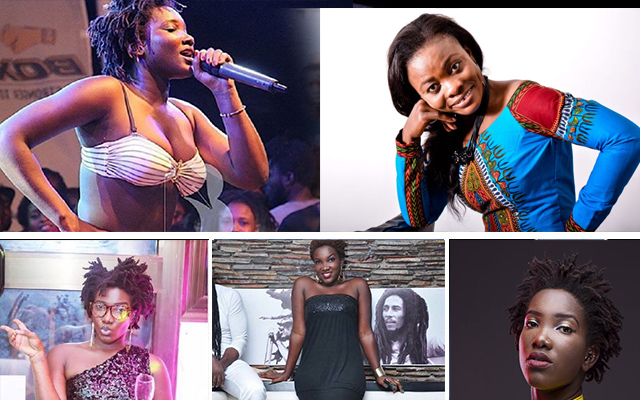 Ebony Reigns was at the studios of Okay fm and there she was challenged to show her gospel prowess.She quickly gave a powerful rendition of gospel musician’s Diana Asamoah’s worship song and she ‘killed’ it. This is not the first time Ebony has tried to sing a gospel, she has indeed performed one in a church before and here’s the video.